It was founded in 1930 and represents the foundation branch of the company. 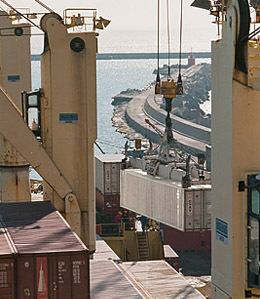 Among its clients are numerous world famous Italian and foreign shipowners - such as Tirrenia, Italia, Lloyd Triestino, Flotta Lauro, Marcantonakis, Toepfer, to quote just a few - who have made regular calls to the port of Salerno. It also enjoys the confidence of various shipowners who carry out tramp services and who entrust De Cesare with the agency of their ships, certain of receiving high quality assistance. Professionalism and reliability are the qualities that stand out in the activities of the company and are at the basis of its reputation.